It’s important for consumers to find credible and trustworthy professionals and businesses. 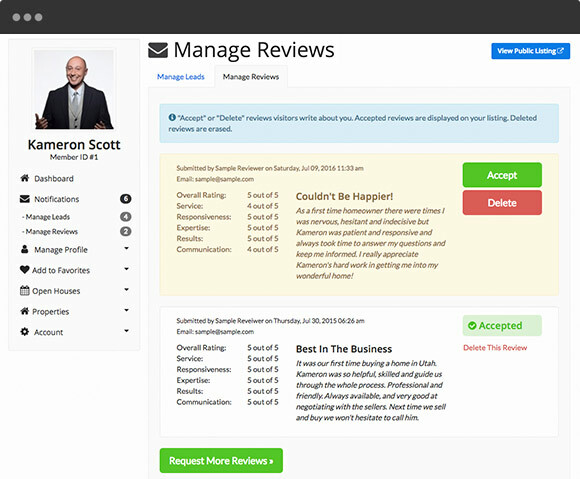 Allow your website visitors to rate and review your professional members. You can give control to your members by allowing them to manage their own reviews, or you can take complete control and manually moderate reviews on your website. 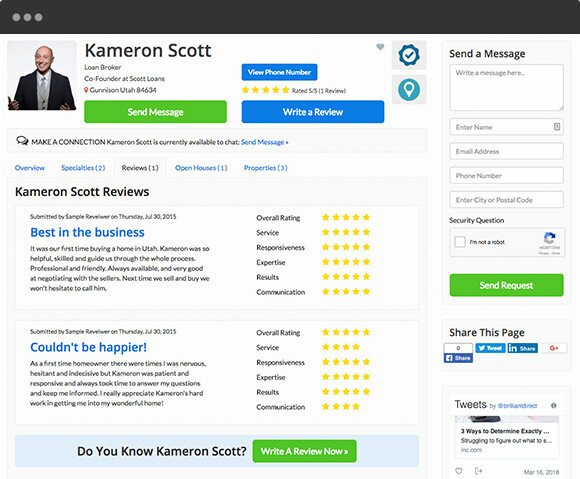 Reviews are displayed on your members’ profile pages. If allowed, members can manage reviews they receive. Configure the ratings and reviews forms that consumers complete to best suit your target industry. Maximize member upgrades by giving only specific membership plans the ability to receive reviews. Reviews generate high quality unique content for your site which helps improve your Google rankings.